Submit solid evidence to the judge that they CANNOT legally ignore. Most people do not understand that judges can legally ignore anything you say (testimony) but are required to act on physical evidence submitted. You may also be able to avoid an expensive trial using this information to educate your spouse. The Wall Street Journal reports that the average custody battle costs $78,000! And is is all so unnecessary and damaging to the children, parents and financial resources of the family. For Years We Had Theories. Now We Have Real Answers! This DVD summarizes the conclusions from over 200 scientific research studies conducted over 25+ years. It is the result of the largest compilation of research ever done on this topic. Many thousands of children were followed for 5, 10 and even 15 years after divorce to gather data. It took Dr. Warren Farrell over thirteen years just to compile this research from many researchers for his book. This DVD provides the answers based on tens of thousands of real-life experiences and hard scientific evidence collected over more than 20 years. This is not about theories and highly charged emotions typical in divorce courts - it is hard science about what works vest for children and families. Learn why judges award sole custody to ONE parent as much as 92% of the time in many states and how to avoid this damaging scenario for your children. Every Judge, Lawyer and Parent Needs to View This Video! Everything You Need to Understand the Ideal Custody Arrangement for Your Children - and Prove it to the Court too - is Contained in Our Evidence Kit. Father and Child Reunion, The largest meta study ever done on what is best for children of divorce. Dr. Farrell may be the top expert on the state-of-the-art on what the true "best interest of the child" is today. -- Steve Ashley, Director of Divorced Fathers Network and Radio Show, Santa Cruz, CA. Is an excellent stepparent as good-or better than-- a so-so biological parent? If your child can be in a "new intact family" that's peaceful and loving, but at a distance from a biological parent, is that better than being shuttled back-and-forth from mom to dad? Submit this as evidence at your trial using our complete evidence kit. This science practically requires judge's who are working under the "best interest of the child" doctrine to award equal/joint custody and shared parenting when there are two good parents. Anything else would be improper unless there is an unfit parent.Dr. Farrell is also available as an expert witness. Debunk that sole custody or "mother custody" is best for children - IT'S NOT! 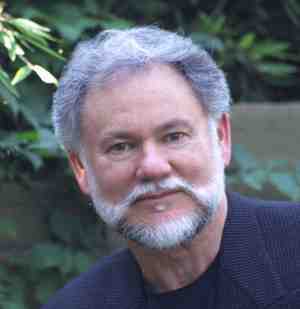 Dr. Farrell is the author of seven books including "Father and Child Reunion" and "Why Men Are The Way They Are". He has appeared on over 1,000 TV and radio shows, and been interviewed frequently by Oprah Winfrey, Barbara Walters, Larry King and Peter Jennings. He has been featured repeatedly on 20/20 and in The New York Times, in People and, in men's journals, The Wall Street Journal, and on the Today Show, the Tomorrow Show, and many others. The video explains what is now 100% clear scientific fact and by far the best for children - not by 10% or 50%, but by ALL measures a factor of 6 to 20 times better. Educate your judge and win your case on what is best for your child(ren) too! Judges and the divorce system are living in the dark ages and ruling based on tradition, myths, money and outdated sexist traditions, not reality, facts or science. If you want your children to do well in life you need to see this video and use it as evidence. If you want your children to grow up with a balanced perspective and not repeat the divorce cycle themselves - you need to see and use this video. Just as one example: Children who grow up in sole custody homes without a father have a 93% divorce rate! Don't let your children's lives be ruined by the divorce system. Know the facts so you can help them be successful in life. you will benefit many other parents and children coming behind you. Three DVD sets (6 DVD's total) for submission to court, opposition and for your copy (Legally you need 3 copies to submit to court as evidence). Click here to buy this evidence kit for only $119.90 + S & H (The third DVD set is free and this 13 years of research and costs far less than an hour of your lawyer's time). 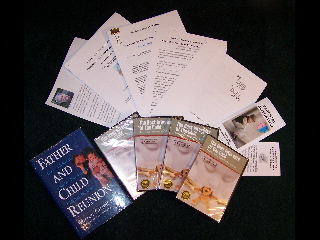 Dr. Farrell is the author of Father and Child Reunion. The goal of Father and Child Reunion was to determine what is best for children of divorce. Dr. Farrell's findings are based on an analysis of the most significant studies world-wide. The result, Father and Child Reunion, is the most extensive recent analysis in book form of what is really in the best interests of children. Although Dr. Farrell has trained psychologists for thirty years, he looks at the family from every perspective. For example, he has been selected by The Financial Times as one of the top 100 Thought Leaders in the world, and has also taught in five disciplines (most recently, the School of Medicine at the University of California in San Diego). Warren Farrell's most recent book--Why Men Earn More-- is on family finances and economics. Why Men Earn More was chosen by U.S. News and World Report as one of the top four career books to be read in 2006. Dr. Farrell can communicate complex ideas simply, which is why he has appeared repeatedly on Oprah and on 1,000 other TV and radio shows worldwide, and doubtless why two of his books-- Why Men Are The Way They Are and The Myth of Male Power --became international best sellers. Finally, his Women Can't Hear What Men Don't Say teaches everyone in the family how to communicate.